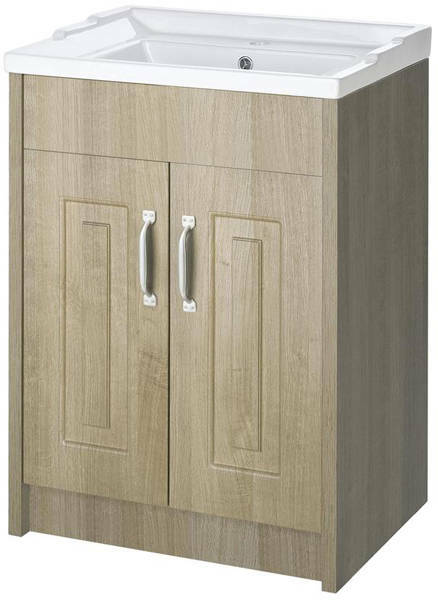 Old London York > 600mm Vanity Unit & Mirror Cabinet Pack (Oak). 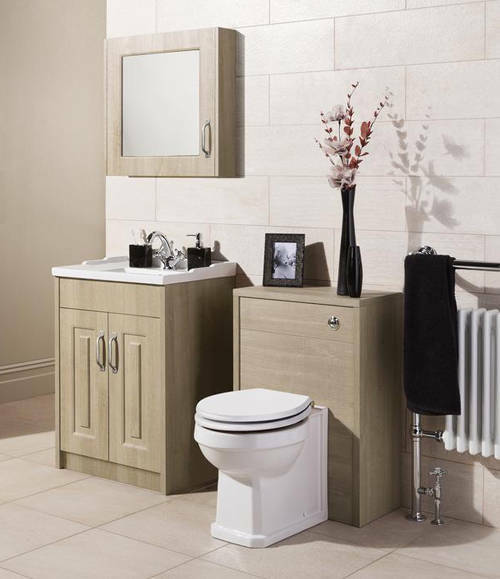 York traditional 600mm vanity unit with ceramic basin and mirror cabinet in oak. 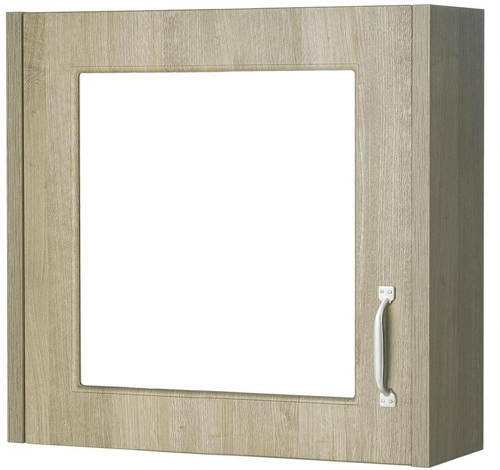 Vanity unit size: 600W x 858H x 460D mm.